This is a long and comprehensive guide with everything you need to know about chests in Clash Royale. The guide explains how the chest drop rate in Clash Royale works, how the drop order is, what the different chests contains, how to get them, what they cost and a few tips on how to get the most value out of the money you decide to spend on chests. 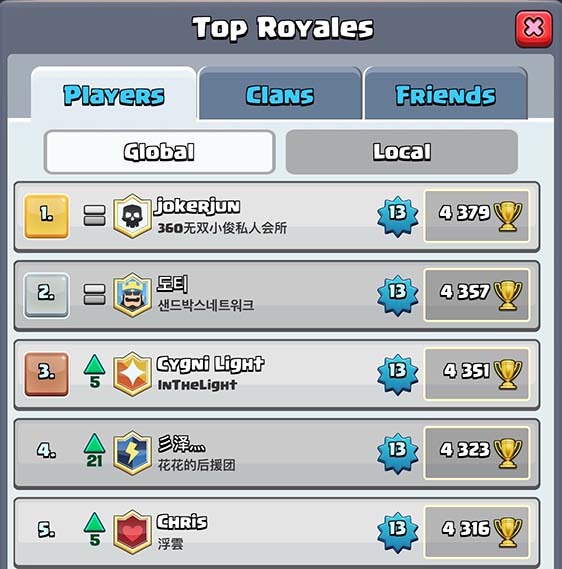 There are three ways to get more cards in Clash Royale, by opening chests, buying cards directly from the store and getting cards donated by your clan. You will get way more cards from the chests compared to buying and donations, and it will be the main way you level up. Because of that knowing all about the chests is very important when it comes to leveling up. The chests and what they contain. What chests should you buy? There are currently 7 different chests in Clash Royale, all of which you can get for free by just playing the game. The free chest is the chest you get every 4 hours and shows up top left of your battle screen. If you want to get the maximum amount of free chests you have to log in to the game at minimum every 8 hours, as the free chest only stacks 2 times. You can see above what the chest contains, unfortunately not a lot of cards. The crown chest is the chest on the top right of your battle screen. To be able to unlock the crown chest you have to win 10 crowns in battles. Once one crown chest becomes available a 24 hour cool down starts for the next chest to become available. This means that you are able to open two crown chests in a row every 48 hours. The crown chests were buffed in a recent patch, and you can see above what they contain now. If you don’t have time to play much I definitely think you should prioritise gaining 20 crowns every 48 hour period to open all the crown chests you get. The silver chest is the chest you usually win in battles and it has a 3 hour opening time. If you are impatient you can also chose to spend 18 gems to open the chest right away. This opening cost goes down the lower the time left to open the chest is. It always costs 1 gem per 10 minutes of speedup you need to open the chest, this cost is always rounded up. The silver chest does not contain many cards as you can see above. It is very similar to the free chest in the number of cards in contains at the various levels. The golden chest is the other chest you get very frequently from battles in Clash Royale. The golden chest has a 8 hour opening time and contain a lot more cards compared to the silver chest. What I like to do is to always play until I get a golden chest I can set for opening during night or if I am going out for the whole day. You can see above what the chest contains. At higher arena levels it is quite a number of cards and gold. The giant chest is the cheapest chest you can buy from the store. At arena 8, where I am currently, the chest costs 490 gems, at lower arena levels the chest will be cheaper. The reason the giant chest is more expensive at higher arena levels, is that it contains more cards then. This is true for all the different chests in Clash Royale. You can also get the giant chest by winning battles. The chests you get from battle follows a specific drop cycle that you can read about here. You will get 4 giant chests for each 240 battles you win, so 1.6% of the chests you get from battle will be a giant chest. It takes 12 hours to open the giant chest if you get it in battle, or you can spend 72 gems to open it instantly. You can see what the giant chest contains at the various levels above. The magical chest is the second chest you can buy from the store, costing 800 gems at arena 8. This is the chest you want if you are looking for epics and legendaries and don’t want to spend a ton of money for the super magical chest. The magical chest also drops from winning battles at the same rate as the giant chest. In the 240 chest drop cycle there are 4 magical chests, which means that 1.6% of the chests you receive will be a magical chest. Read about the drop cycle further down in the article. If you get the magical chest in battle it will take 12 hours to open it, or you can spend 72 gems to open it instantly. Above you can see what it contains at the various levels. The super magical chest is the one you want to buy from the store if money is not an issue. Buying this chest gives you the most epics and rares for the gems you spend. At arena 8 the chest costs 4600 gems however, which is around $50, so it is not a cheap chest to buy at all. Don’t go crazy buying a lot of these if you can’t afford it. 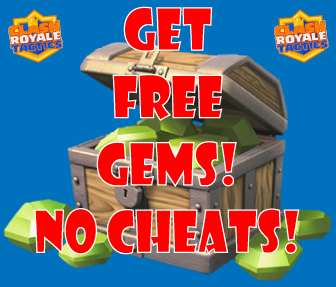 Instead, here is a method to get Free Gems the legit way! The super magical chest have a very high chance of containing legendary cards. 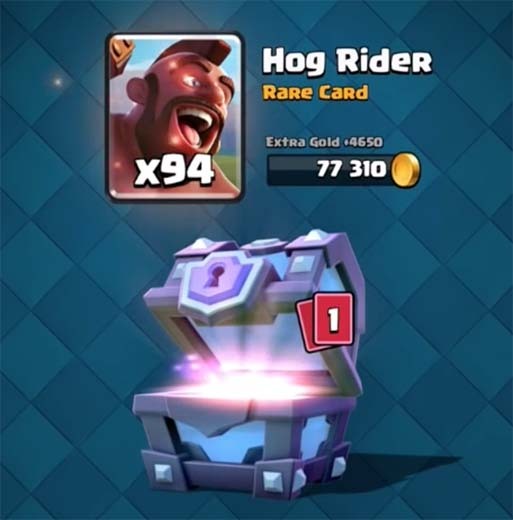 From research that various YouTubers and other players have done, it seems that the chance of getting a legendary card from a super magical chest is around 33%. You can get a super magical chest from winning battle as well, but the chance is very small. I would estimate the chance to be less than 0.2%. I have only gotten one chest from winning over 1000 battles in Clash Royale. When you get the super magical chest from winning battles it will just replace on of the other chests in the drop cycle. If you get the super magical chest from battles it will take 24 hours to open it. You can speed up the chest opening by spending 144 gems. Above you can see what the super magical chest contains at the various levels. Below you can see the chest drop cycle or chest drop order as it is also referred to as. Basically when you start the game you get the first silver chest in this drop cycle after winning your first battle. Then you move alone the drop cycle until you get to your 240th win. After that the chest drop order starts from the beginning. Super magical chests are not included in the drop cycle, but every chest that drops has a chance of being a super magical chest. Getting a super magical chest will not effect the rest of the drop cycle and I would estimate the chance of getting a super magical chest to be lower than 0.2%. If your have 4 chests already in your chest inventory, you are not able to get more chests. This will not effect the chest drop cycle either, you not move along the drop cycle while your chest inventory is full. When it comes to which chests you should buy there are a lot of considerations to make. First you have to know how much gold you are planning to spend on Clash Royale. If you are not planning to spend $50+, I don’t advise you to spend money on chests at all. If you are going to spend less than $50 on the game you will get much better value spending the gems you buy on speeding up chests and buying gold. If you have decided that you are going to spend more than $50 on the game the next consideration is what type of deck you want to use. If you are planning to use decks with mostly commons in them, spending all your gems on giant chests is the way to go. This is what I am doing, as common cards are really fast to level up and they are very good as well. 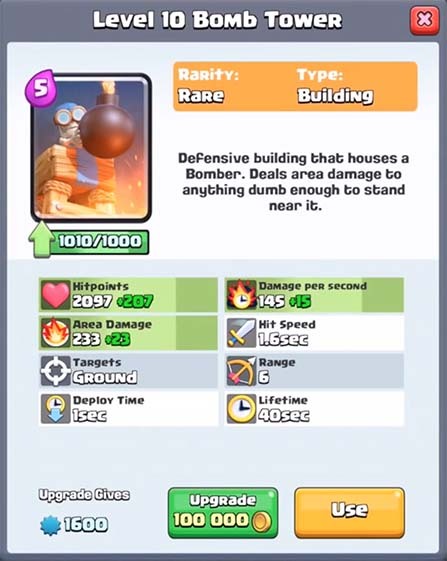 Buying a lot of giant chests will help you level up your common cards quickly and you can build really good decks with these cards. 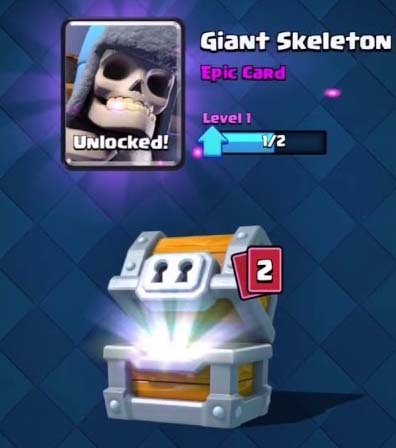 If you already have your common cards where you want them and are looking for epics or legendaries the magical chests are what you should get. 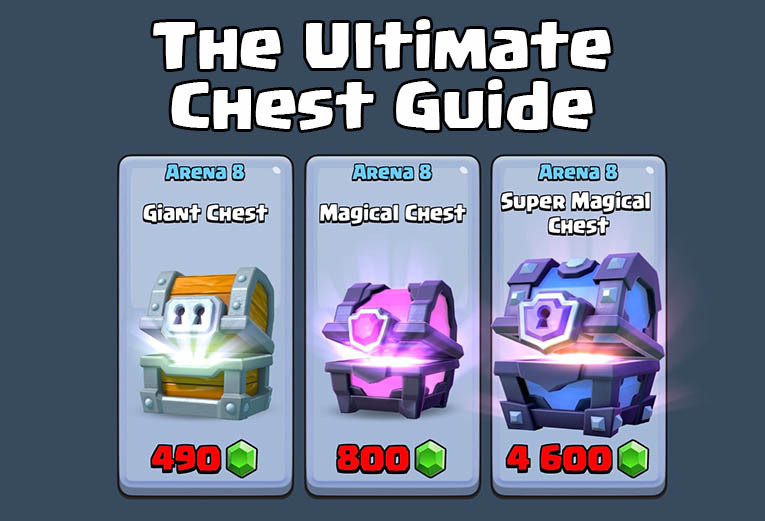 If you can afford the super magical chests they are a better deal, giving you around 6 times as many cards as the magical chest and having a very high chance of legendary cards. If you don’t like the idea of spending $50 at a time for a super magical chest, the magical chest is good value as well. I got my first legendary from a regular magical chest that I got as a drop in the game. First advice is to not spend more money on buying chests in Clash Royale than you can afford. It is easy to buy a huge number of gems in the heat of the moment. Maybe you just lost a lot of gems and you are tilting, or maybe you are so very close to the next arena level that you just need to buy chests until you make it. Don’t spend a ton of money on chests before thinking it through, it can get very expensive. I know the top players in the game have spent $20,000+ money on the game, not something most people can afford. If you have a problem with spending too much on digital currencies in games I suggest removing your card from your account so that you can’t buy more gems without taking the time to add the card again. Then you are forced to take some time to think it through. My seconds advice is to take into account the upgrade costs of the cards when you are spending your gems. Don’t spend all your gems on chests if you don’t have enough gold to actually upgrade the cards. Upgrading cards at higher levels is really expensive, and you won’t get enough gold from the chests you buy to pay for these upgrades. Therefore you should split your spending on both chests and gold. I am interested in hearing how other players are spending their gems on chests. Had any luck getting legendaries from chests you buy in the store? I have only gotten one legendary from chests myself, the rest I have gotten from buying them in the store. Also, please let me know if you have any questions. Hello I am commenting down now what happens. When I opened a golden chest, my network is disturbing.then I again enter clash Royale and I can’t find/see my golden chest.why was happening so?? The chest’s cards went straight into your deck without you seeing what you got. 2v2 chests and battle chests (reg) are indistinguishable from one another, right? With the new update, you can win Battles for extra gold, which helps to afford upgrades faster and without spending money. This is a strategy I have been using to advance my deck faster (less days). But now I wonder if I am missing out on Chest upgrades. Meaning that, if my Chest slots are full, and I win a battle, the chest is denied. The game could be denying me magical chests and I don’t even know it?!!???!? The chest cycle just stops in that case, it doesn’t skip any chests. So you won’t lose any magical or huge chests. I also do the same, it’s nice to get extra gold from that. I’m league 4, got all the cards maxed out, king level 13, didn’t spend any money and once was number 104 in the world at the end of the season 2016.